This year, the Ottawa Humane Society has laid more charges and gotten more calls to save dogs from hot cars this spring than ever before, exposing a dangerous trend that could put even more dogs at risk as the weather heats up. By this time last year, just two people faced charges for leaving dogs in hot cars. This year, despite the slower start to the summer weather, that number has climbed to three. 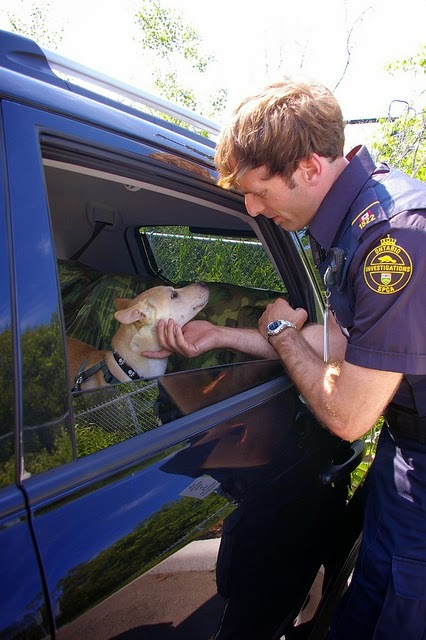 Calls to report dogs found in hot cars this year has risen nearly 20 per cent, from 81 to 97. "Unfortunately, people are still leaving their dogs behind when they run into the store," said OHS Insp. Smith. "This could kill your dog. Even 10 minutes with the kind of heat and humidity we get in summer and your dog could die. Your car becomes an oven very quickly." this year has risen nearly 20 per cent. The latest charge came Monday when an owner allegedly left his two-month-old Mastiff, named Gucci, inside the car for two hours. The puppy, who was panting heavily and trying to hide under the seat, was checked out by an agent at the scene. His owner, Tagried Mohamed, 19, has been charged with permitting distress to an animal. He first appears in court on July 3. One day before that, an Old English sheepdog named Spencer was allegedly left for more than an hour while his owners were at Rideau Carleton Raceway. An OHS agent rushed Spencer, 11, for emergency care. He was treated with IV fluids, cold towels and ice packs to bring down his temperature. Spencer recovered but his owners, Marin Umbres, 57, and Carmen Palos, 52, have been charged with failing to meet the standard of care and causing distress. They are scheduled to first appear in court on July 10. It’s not clear whether this year's jump in numbers can be pinned on increased awareness leading to more reports or on more people leaving their dogs in hot cars, Smith said. "Either way, the calls we’re getting means we have a serious problem with dogs being left to cook in cars," Smith said. When it’s hot, keep your pet at home, she said. "That decision may save your dog's life," Smith said. If you see an animal in distress, call the OHS emergency line at 613-725-1532.